Its almost that time of the year which all the cricket universe including the Royal Challengers Bangalore fans are eagerly waits for - Yes, another edition of the prestigious season of Indian Premiere League is on its way but what's even more crucial prior to it this year is the IPL Auction which will add a whole new dimension to all the teams. After experiencing couple of auctions on our television sets with the comfort of our couch, we got a call from the team whom we are following ever since Virat Kohli has joined it - you guessed it right, the Royal Challengers Bangalore for being on their expert panel for reviewing the whole IPL auction 2018 and representing the views of the 7 lakh fans of our partnering fan clubs - Virat Gang-VK18FC & RCB Bold Brigade! We were simply elated with their invitation and took no time to grab this golden opportunity with both the hands because we have always seen ourselves as capable candidates to fill the shoes of Harsha Bhogle, Alan Wilkins, etc. Every time we watched them sharing their expert opinions in cricket shows. Royal Challengers Bangalore quite wisely came up with the 'Bid For Bold' theme for the IPL auction 2018, which represents their 'Play Bold' instinct while bidding for some quality players this time around. The discussion panel was led by the host - Arpit Sharma and consisted of the admins representing the biggest fan armies of Royal Challengers Bangalore. The whole interaction was streamed live across the social media pages of Royal Challengers Bangalore through Periscope and FB Live! 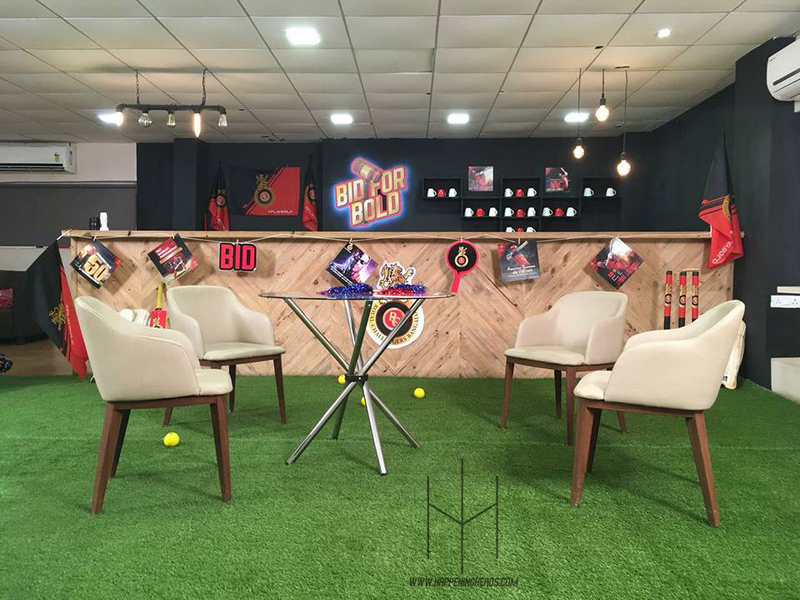 The best part of 'Bid For Bold' was that even fans were able to share their opinions by joining the conversation with #BidForBold from their social networking profiles. Also, the way RCB kept the audience engaged during the breaks by organizing giveaways and showcasing the videos of Mr. Nags and the coaching staff present at the auction venue was quite an amazing concept! Talking about 578 players over the span of 2 days with hardly any breaks and no scope of making any mistake as we were live throughout was a tough task but the way everyone on the panel as well as the professionals behind the scenes worked collectively to make it engaging and happening is simply commendable. Addressing the fan comments, sharing our personal opinions on the auctions, giving away official RCB merchandises to the fans by organizing contests during the breaks, shooting exciting videos to welcome players in the squad and performing challenges among ourselves gave us a whole new experience which is beyond one's imagination. We are delighted that we were actually able to pull it off without making even the slightest of mistake because facing the cameras in front of the halogens pouring out heat and continuously keeping a track of what's happening on the TV screen is not so easy as it looks and this is what has increased my respect for all the hosts, presentators and experts around the world. We would like to thank Royal Challengers Bangalore from the bottom of our hearts for their constant support for our partnering fan clubs: Virat Gang - VK18FC & RCB Bold Brigade over years and giving us an opportunity to make it reach far and wide through such an interactive process. Also, kudos to their efforts for keeping that fan connect alive throughout!